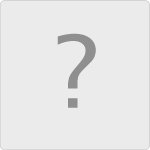 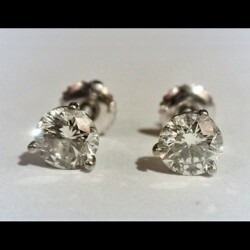 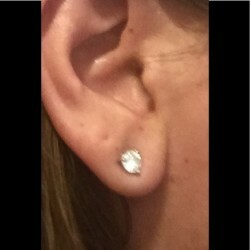 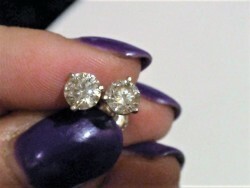 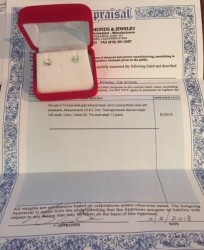 1.5 ctw round diamond stud earrings. 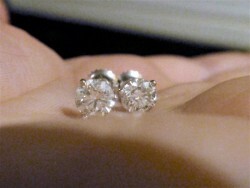 Earrings are J color, SI2 clarity. 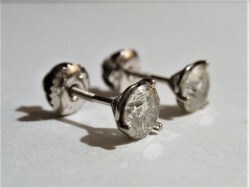 Set it solid 14k white gold 3 prong martini settings.